Dr. Daniel T. Lichter is the Ferris Family professor in the Department of Policy Analysis and Management, Professor of Sociology, former Director of the Cornell Population Center, and current Robert S. Harrison Director of the Institute for Social Sciences. He joined the Cornell faculty in August 2005. He has previously taught at Pennsylvania State University (1981-1999) and The Ohio State University (1999-2005). He teaches courses on population and public policy, poverty and inequality, and demographic techniques. Dr. Lichter is past-president of the Population Association of America (2012) and the Rural Sociological Society (2010-11). 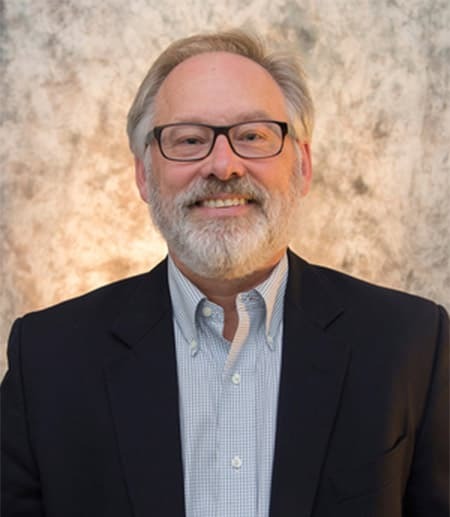 He also is past-president of the Association of Population Centers, and he has served as chair of both the family and population sections of the American Sociological Association. He also has served as editor of Demography (2002-2004), the flagship journal of the Population Association of America (PAA). Dr. Lichter is a member of the research advisory board of the National Campaign to Prevent Teen and Unintended Pregnancy. He also is a policy fellow of the Carsey Institute at the University of New Hampshire, and a member of the poverty working group (on race and ethnicity) at the Stanford Center of Poverty and Inequality. He is currently serving as a member of the National Academy Sciences panel on “The Integration of Immigrants into American Society” during 2014-2015. For a full description of panel activities, see http://www8.nationalacademies.org/cp/projectview.aspx?key=49598. Dr. Lichter has published widely on topics in population and public policy, including studies of concentrated poverty and inequality, intermarriage, cohabitation and marriage among disadvantaged women, and immigrant incorporation. His recent work, for example, has focused on changing ethnoracial boundaries, as measured by changing patterns of interracial marriage and residential segregation in the United States. He is especially interested in America’s racial and ethnic transformation, growing diversity, and the implications for the future. His other work centers on new destinations of recent immigrants, especially Hispanics moving to less densely-settled rural areas. He has provided new national estimates of racial residential segregation in Hispanic “boom towns” in the Midwest and South, focusing on the spatial assimilation and economic incorporation of the new immigrants into local communities. As a measure of acculturation, he also has documented high rates of fertility and poverty among Hispanic immigrants and natives in new destinations. Lichter, D.T., Z-C Qian, and D. Tumin. (2015). “Who Do Immigrants Marry? Emerging Patterns of Intermarriage and Integration in the United States.” Annals of the American Academy of Political and Social Sciences 660, forthcoming. Lichter, D.T., D. Parisi, and M.C. Taquino. (2015). “Toward a New Macro-Segregation? Decomposing Segregation Within and Between Metropolitan Cities and Suburbs.” American Sociological Review, forthcoming. Thiede, B.C., D.T. Lichter, and S.R. Sanders. (2015). “America’s Working Poor: Conceptualization, Measurement, and New Estimates.” Work and Occupations 42: 267-312. Lichter, D.T., S.R. Sanders, and K.M. Johnson. (2015). “Hispanics at the Starting Line: Poverty among Newborn Infants in Established Gateways and New Destinations.” Social Forces, forthcoming. Parisi, D., D.T. Lichter, and M.C. Taquino. (2015). “The Buffering Hypothesis: Growing Diversity and Declining Black-White Segregation in America’s Cities, Suburbs, and Small Towns?” Sociological Science 2:125-157. Lichter, D.T., D. Parisi, and M.C. Taquino. (2015). “Spatial Assimilation in U.S. Cities and Communities? Emerging Patterns of Hispanic Segregation from Blacks and Whites.” Annals of the American Academy of Political and Social Sciences 660(July): 36-56. Crowley, M., D.T. Lichter, and R.N. Turner. (2015). “Diverging Fortunes? Economic Well-Being of Latinos and African Americans in New Rural Latino Destinations. Social Science Research 51:77–92.